SHBG Insurance Services is a full service Insurance firm specializing in Personal (Home, Auto, Renters, Umbrella), Commercial (General Liability, Commercial Auto, Workers Comp, Business Owner Packages, Commercial Umbrella’s), Professional (E&O, LPL, D&O, Cyber Liability, Crime, Bonds) and Life and Health. We pride ourselves on servicing ALL your insurance needs on both a local and national level. Whether you are an individual, small business or a multi-million dollar company, we have the products to fit all your needs. Our experienced agents and brokers are committed to providing you with excellent service and the best insurance coverage fitting your needs and your budget. We work with top rated carriers to assure you are covered properly and to give you peace of mind. Here are just a few of the top A rated or better carriers that we have access to for our personal, commercial, and professional insurance lines: Travelers, Utica, Kemper, Hartford, Narragansett Bay, Harleysville, Markel, CNA, Navigators (visit our website for a complete listing). 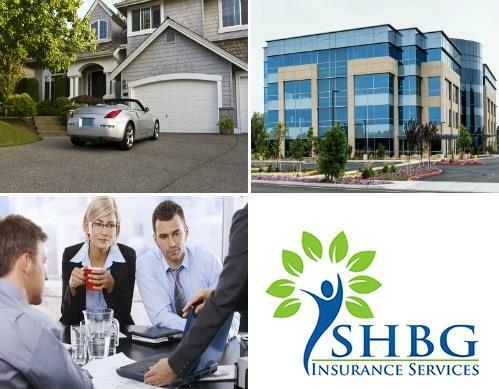 SHBG Insurance Services, can provide a complete analysis for all your insurance needs. Whether for personal or commercial policies, our recommendations can help you get the most cost effective and comprehensive coverage for you. As an independent agency, you have the benefit of choosing from multiple carriers, and we are here to ensure you find the right one. Call Today. Do you have any experience using SHBG Insurance Services? If so, please rate your experience and let others hear about it using the form below.